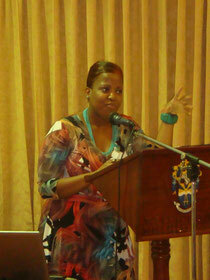 The presenter, Dr. Janice Lindsay, one of my old students shared with us her experience and put forward her theory. She was dignified like minister(?!) made me proud of her again.